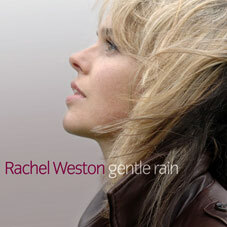 Here’s the sweet and beautifully-controlled voice of… Rachel Weston. A marvellous singer with great diction, perfect intonation, and – most importantly – STYLE! [Steve Ross] also managed to offer a special treat by introducing a marvellous young female vocalist as a surprise guest. Rachel Weston, a New Zealander now resident in London, joined him for a rendition of ‘Guess who I saw today’ and thrilled the audience with her lovely voice and expressive interpretation. Hopefully we’ll soon be seeing much more of her enormous talent on the London cabaret scene. The siren voice of live singer Rachel Weston is worth the ticket price alone. Whilst it is unfair to single anyone out for special commendation, the combined keyboard and vocal skills of Rachel Weston were particularly inspiring and her ensemble-backed rendition of ‘Soldier of the Heart’ concluded the evening with a flourish. We just got back to the States a couple of hours ago. So while it was all fresh on our minds, we wanted to tell you how much we truly enjoyed you in the concert in Dublin at the National Concert Hall. You were incredible! We look forward to hearing you again and again on your CD. We will look for you to give a concert in our part of the world. The CD arrived today. I put it on straight away and have listened to it all. I’m now listening again to The Candle and paying attention to the words. Beautiful. Your voice is so crystal clear I can hear every word – I love that. Congratulations to you. This sounds fantastic! Thanks for including me in your mailing list….your voice sounds glorious! Congratulations. What a joy my journey home from has been. Traffic jam? What traffic jam?! I didn’t notice a thing, I was so absorbed in your beautiful new album. Congratulations! It’s glorious. And you’ve included several of my all time favourite numbers (Miss Otis, How Deep…, Unusual Way) and given them magical renderings. I loved it all – so musical, perfect diction, and every word ‘meant’. I hope it’s a big success – you deserve it. You have a super voice and the mood created by the straightforward delivery of the songs is very attractive. It’s a lovely selection, and you sound great! What a wow of a recording!